I hope you are enjoying this beautiful spring weather! We are making the most of the longer days and keeping busy. This issue of our newsletter is full of exciting opportunities as well as a request to all of you. We need you to help us gather feedback to guide our decision-making process for services. In the Consultant Column, you’ll find an article by Taylor Fabrega along with links to two new Needs Assessment surveys that we are asking our clients/families and community partners to complete. Please share your thoughts with us so we can best serve you as we move forward. In January, FSU CARD staff, constituency board members, and some clients attended the 26th Annual CARD Conference in Orlando, Florida. It was a weekend full of inspiring and enlightening information for all who attended. Be sure to see Crystal Grey-Hewitt’s write up below. In February we finally moved in to our new office space in Pensacola, Florida. It took a while to find the right fit, but we are overjoyed to have a new permanent home for our western counties. We will be hosting an Open House on April 3rd. Please see the flier below for all the details. We’d love to see you there! On March 12th, FSU CARD hosted CARD Day at the Capitol and were delighted to have our colleagues and families from across the state join together to share their CARD story with legislators. We were honored to have Representative Daniel Perez as our guest speaker and new champion in the House of Representatives. April is Autism Awareness month and we are thrilled to be hosting our 3rd Annual Kickin’ It for Autism inclusive soccer clinic led by the reigning National Champion FSU Women’s Soccer team and coaches on April 7th. Online registration is open until Friday, April 5th and onsite registration will be available on the 7th. See below for all the details. We’d love to have you join us for this community event to promote autism awareness and the beauty of true inclusion where all ages and abilities are welcome on the same field. We continue to update our website with new events and features. The newest update is to our Research Opportunities (https://fsucard.com/resources/research-opportunities/) section. We have listed several studies that have been reviewed by our research committee and posted the details for anyone who is interested in participating. Please take a look and see if you can be a part of the growing body of research on autism spectrum disorder. Be sure to check back periodically, as we get new requests to advertise research each month. Speaking of research, we are so proud of our Executive Director, Dr. Amy Wetherby and her team who have just launched a brand new website, www.BabyNavigator.com. Be sure to read the press release below explaining this groundbreaking resource for parents of babies and toddlers! We hope to gather lots of feedback from all of you on our new Needs Assessment Surveys. Please remember that if you need assistance, we need you to reach out to us and let us know. We operate on a client-request basis, meaning we need you to call/email us when you need guidance. If we haven’t heard from you in a while, a great place to start is by filling out the Needs Assessment Survey AND the Annual Update Form located on our Contact tab of our website (https://fsucard.com/contact/). Enjoy this Spring edition of our Newsletter and we hope to see you at one of our upcoming training or events. On Sunday, April 7th, FSU CARD will be “Kickin’ It for Autism” in our third annual soccer clinic in partnership with the FSU Soccer team and coaches. Rain or shine! This inclusive opportunity opens the door to all athletes and soccer enthusiasts to learn and play alongside each other. Join us and learn new skills or sharpen existing techniques with the FSU Soccer team and coaches. This event is open to soccer players of all ages and experience levels (beginner to advanced). $15 online registration is available until Friday, April 5, 2019 at 5pm (EST) or you can register onsite for $20 or 2/$30. For an additional $5 you can sign up for a Kickin’ It for Autism drawstring bag- the perfect way to store your gear! This event could not happen without the commitment of the FSU Soccer Team and Coaches and the generous support of our sponsors: 97.9 ESPN Radio – Tallahassee’s Sports Monster, STAR 98.9, Lindamood-Bell Learning Processes, TTHFC – Florida Elite Tallahassee, TRS, Inc., Gordos Cuban Restaurant, Hungry Howie’s, North Florida Spine and Wellness, Springbrook Autism Behavioral, MISSION BBQ, Tiniest Empire Cupcakes, Lucky’s Market Tallahassee, Dunkin’ Donuts. Please check out the interview with Head Coach Mark Krikorian that aired on March 27, 2019 on the Jeff Cameron show on 97.9 ESPN Radio https://youtu.be/rE_BitblcuY and an inspirational video from the 1st Annual Kickin’ It for Autism Clinic created by Seminoles.com https://youtu.be/N89crFxQFd4. We hope to see you there! On March 12, 2019, FSU CARD hosted CARD Day at the Capitol. Staff and families from all seven CARD centers came to Tallahassee to speak with their legislators about how CARD has helped them and the importance of adequately funding the CARD centers. We were honored to have Representative Daniel Perez as our guest speaker during our luncheon on the Senate portico. We truly appreciate all who were able to come to Tallahassee on behalf of CARD and all of you who have contacted your legislators and shared your stories about how CARD has helped you! Please see the video we put together of the day’s events. Do you know a teenager with autism who dreams of planning flight missions, exploring cutting edge technology, learning about STEM concepts involved with flight, participating in virtual reality simulations, and flying simulators? Would they like a scholarship for a 1-day, 3-day, or 6-day camp at the National Flight Academy in beautiful Pensacola, FL? This scholarship program is open to teens with autism who are entering grades 7 through grade 12 (under age 18). We are currently recruiting throughout the United States! For those in other states, this is your chance to come visit sunny Pensacola and the most beautiful beaches in Florida! For more information, contact Dr. Chrissy Ogilvie at christine.ogilvie@med.fsu.edu or850-324-6245. On Wednesday, April 3rd, 2019 we will be hosting an open house for the new Pensacola office. There will be two separate open houses at 11:00AM – 1:00PM & 5:00PM – 7:00PM CST. Please join us to learn more about your new local FSU CARD opportunities, events, and the FIRST WORDS Project. We look forward to seeing you! The Executive Director of FSU CARD and Director of the College of Medicine’s Autism Institute, Dr. Amy Wetherby, launched a new website, BabyNavigator.com, that walks parents through early childhood development and alerts them to early signs of autism. This summer the FSU Multidisciplinary Center is offering various behavioral health groups for children and their parents. There will be meetings every Tuesday and Thursday from 6/11/19 – 7/16/19. To register by phone please call 850-644-2222. Help us spread the word to families with young children. Whole Child Leon and their community partners are celebrating 10 years of semi-annual community-wide screenings that focus on the overall development of children 6 months to 5 years old. It is a day where over 100 volunteers from over 20 community agencies (state/county/private) and programs come together to screen up to 65 children. Caregivers automatically gain a support system and children are directly connected to further assessment and intervention services that very same day if needed. The screening includes Vision/Hearing, Health/Nutrition, Motor Skills, Cognitive, Behavior, Speech, Dental. We are thrilled to announce a new partnership with Riksha Tacos(https://www.rikshatacos.com/) in Tallahassee. They are hosting #TacoTuesdays with their Riksha POP UP store in front of the campus Dunkin’ Donuts location on Copeland bringing their delicious tacos right on campus for students, faculty, and staff to enjoy! Stop by on Tuesdays between 12-2:30 pm and they will give 10% of all their sales back to the FSU Autism Institute. Thanks, Riksha Tacos for supporting autism and bringing a delicious new lunch option to campus. FSU CARD is excited to introduce a new and improved needs assessment survey for the eighteen counties that we serve. The responses that we receive from our clients and their families, as well as our community partners, will give us the data necessary to improve our services. Input from stakeholders will also influence our plans for the coming years. Below, you will find two links for the two surveys we created to capture the differing needs that our clients and collaborators have when working with CARD. Please fill out whichever survey best applies to you. We appreciate your time and look forward to your feedback! 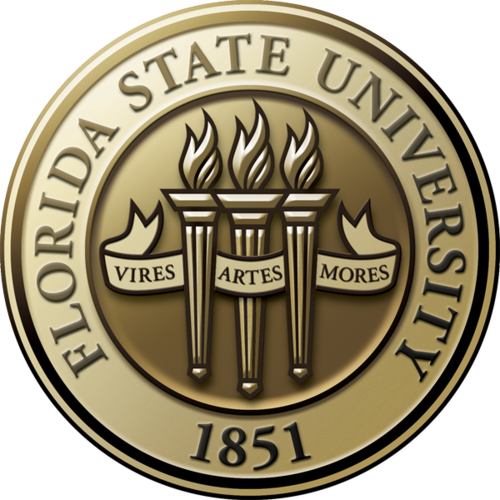 CARD Clients/Families: FSU CARD Client/Family Needs Assessment Survey (https://fsu.qualtrics.com/jfe/form/SV_8rccOuGiNgEBAm9) Community Providers: FSU CARD Community Providers Needs Assessment Survey (https://fsu.qualtrics.com/jfe/form/SV_5sUhpjCMkMrT9Pv) If you are a CARD Client and we haven’t heard from you in the past year, please fill out our Annual Update form located on our Contacts/Forms page HERE<<, so we can keep our database up-to-date! Please note: if you need assistance from FSU CARD, we need you to call or email us and request help: autism@med.fsu.edu; 1-800-769-7926. On January 17th, 18th, and 19th, staff and constituency board members from FSU CARD were privileged to attend the 26th Annual CARD Conference in Orlando, Florida. During the weekend, staff members were able to attend several very informative sessions. Two of the sessions that really stood out were the Friday keynote and breakout sessions by Kelly Mahler and the Saturday keynote and breakout session by Dr. Peter Vermeulen. Mahler spoke about “interoception”, which she described as “a sense that provides information about the internal condition of our body-how our body is feeling on the inside”. She talked about methods of learning to better recognize those signals, as well as regulate responses to them. Dr. Vermeulen spoke about “Autism and the Predictive Mind” and how newer research is showing that the difficulties that people with autism can have with their brains being able to “guess” or predict what will happen next greatly contribute to difficulties navigating many situations. He emphasized how important it is to look at the current methods and tools we currently use and re-evaluate whether we are teaching the needed skills to improve predictive abilities in our clients. In addition, staff from all the CARD centers around the state gathered to receive specialized training on sexuality and effective sexual education from Dr. Kimberly Spence (UCF CARD), Jason Klazon (UCF CARD), and Alison Bourdeau (FAU CARD). Our own Allison Leatzow, in partnership with Susan Davis Baldino, gave a presentation on the “Artists and Autism Series”, which provided information on the importance and benefits of art programs for people with autism, and how to promote those for our clients. What advice do you have for others looking for a job? The NHS must change the way it assesses eating disorders to take account of a link with autism, a research charity has said. Read more about this at the link below. We are excited to offer partnerships through our Autism-Friendly Business initiative. This program was started at USF CARD, and they have graciously shared their information with us to bring this opportunity to the panhandle. The Autism-Friendly Business Initiative aims to increase the number of places families feel welcome in our community and encourage conversation with local businesses about hiring individuals with autism spectrum disorder (ASD). Community partners interested in becoming an Autism-Friendly Business will go through an initial interview, receive training for all staff, and follow up assistance from FSU CARD. Upon completion of the training, businesses with receive an Autism-Friendly Business window cling and logo to post on their website. Additionally, these Autism-Friendly Businesses will be listed on the FSU CARD website. We would like to extend special thanks to our trailblazing pilot businesses: The National Flight Academy (Pensacola, FL), The Satori Foundation (Pensacola, FL), and Paisley Café (Tallahassee, FL).